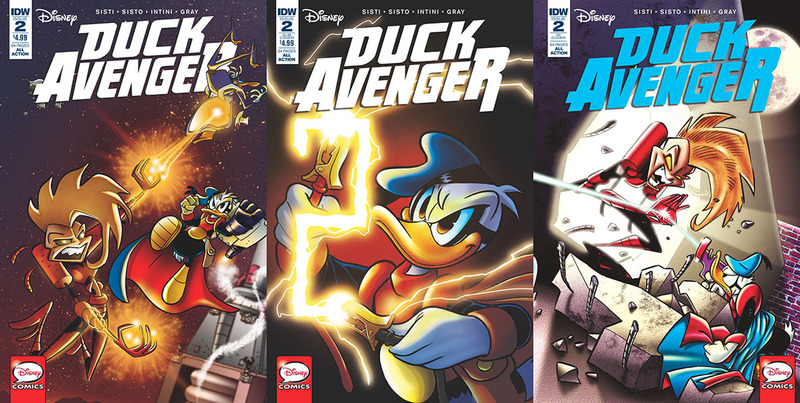 This month we got the 3rd issue of Duck Avenger, or #2 as the cover say (the first issue was #0). After getting to know the time travelling villain Red Raider in last issue, the Evronians are now back again! And if you read issue #0 you might remember the short intro taking place on another planet, ending with the silhouette of an unknown person. 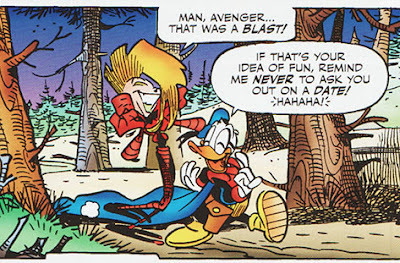 We get the continuation of this backstory in #2, and get to know who this person is. 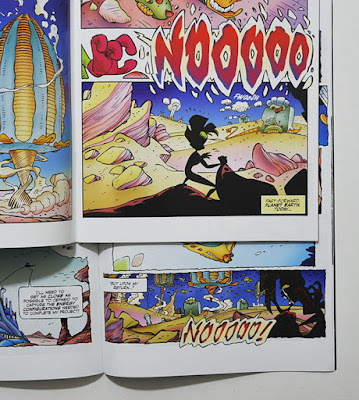 The story in issue #2 is mostly just introducing Xadhoom. After a bit of a bumpy start, the Duck Avenger and Xadhoom soon find out they have a common interest. Having read ahead in this series, I know this is not the last we have seen of her – and the story about her people is far from over. There are some really great storylines with Xadhoom to look forward to, so this month's story is just the start.